Loren Coleman is the first and last name in cryptozoology. He's blazed the trail for so many of us. Massachusetts mysteries like the Dover Demon and the Bridgewater Triangle have names because Coleman discovered and named them. 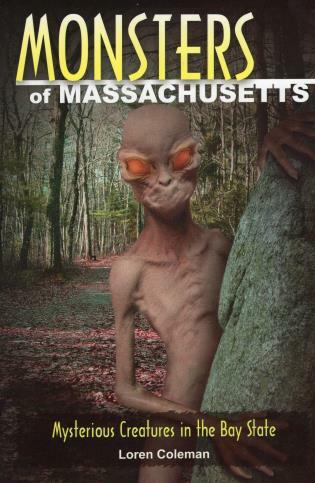 His years of research gathering the cryptid sightings, physical evidence, and details of these strange creatures and legends have paid off in a big way in Monsters of Massachusetts. Bizarre beasts of the Bay State featured in this volume include . . .
Loren Coleman lives in Portland, Maine, and is the worldâ€™s leading cryptozoologist. He began investigating cryptids in 1960 and has written more than 30 books on the subject, including the bestseller Mysterious America. Coleman established the International Cryptozoology Museum in 2003 and is frequently consulted for his expertise by Animal Planet, CNN, Discovery, History, and Travel.